White Wolf : North Dakota Petroleum Council: "We are disappointed with Obama's decision"
North Dakota Petroleum Council: "We are disappointed with Obama's decision"
Obama Administration: Dakota Pipeline 'Will Not Go Forward At This Time'. Brushing aside a fresh court ruling, three federal agencies said they are withholding permits on a key portion of the project near Sioux Land. "We are disappointed with the U.S. Department of Justice, the U.S. Department of Interior and the U.S. Army Corps of Engineers' decision to intervene in this lawfully approved project and continue to postpone the construction of this infrastructure that is so vital to our nation's energy future," Ron Ness, president of industry group North Dakota Petroleum Council, said in a statement. "For too long, this project has been mired in a campaign of misinformation and violence that does not consider the greater interests of national security and the state and nation's economic prosperity. We regret that this decision, which is yet another flagrant overreach by federal government and this administration, will only allow this rancor to continue and result in more trucks and rail cars moving oil." 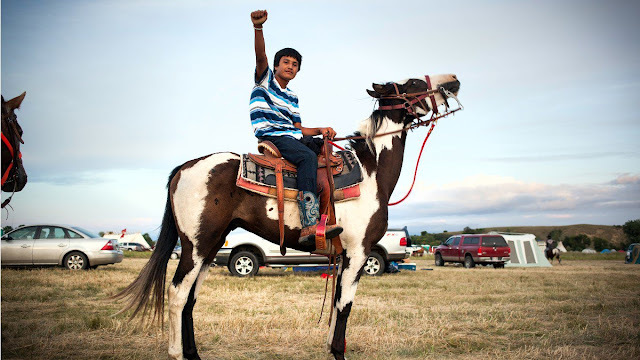 President Obama visited Standing Rock in June 2014 and promised to do more for the tribe and other Native American communities. Some pipeline opponents saw Friday's announcement as an effort to live up to that pledge. "Today, three federal agencies announced the significant decision to respect tribal sovereignty and stop construction of the Dakota Access Pipeline on Army Corps land," David Archambault II, chairman of the Standing Rock Sioux tribe, said in a statement. "Our hearts are full, this an historic day for the Standing Rock Sioux Tribe and for tribes across the nation." 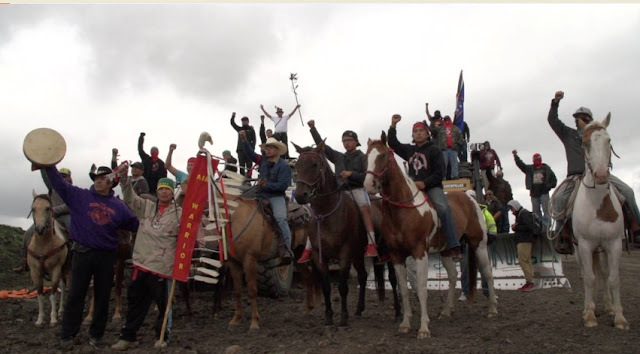 "This is a historic, unprecedented, and overdue move by the Administration that is reflective of the brave and principled stand by the Standing Rock Sioux," the Sierra Club's executive director, Michael Brune, said in a statement. "The Tribe has stood up to combat the oppression and injustice they and Native Americans throughout our country have faced for generations, and the Administration was right to recognize it." Earlier Friday afternoon, Judge James Boasberg of the Federal District Court in Washington, D.C. denied the Standing Rock Sioux tribe's request for a preliminary injunction to temporarily halt construction of the pipeline until a lawsuit filed by the tribe could be heard. Boasberg's ruling stated that the tribe had failed to demonstrate that stopping construction could prevent damage to sacred sites. Responses to "North Dakota Petroleum Council: "We are disappointed with Obama's decision""
Well I'm not disappointed with his decision. We have a long history of taking advantage of the Native Americans. We have broken treaties time and time again when it suits us. We exploit them and enough is enough. I'm not a big fan of the pipelines either. We are seeing leaks and cracks with the pipelines under water and who knows how much that is causing an impact with the enormous pollution we are seeing in rivers, lakes and oceans where pipelines have access. There are other ways to create jobs my friends. And I know that everyone that is disappointed would have raised bloody hell if the pipeline had been in their neighborhood. I beg you all to start looking at the big picture and our legacy to our children. Why is it you always say to further our nation when if people read back to the begining of the proposals for said pipelines it's to ghet the oil to texas and the oil is being sold to foriegn comodities, Do you think we all forget what is said and reported in the news ? If you want to build our infrastructure then rebuild roads and bridges they will do alot more for us than a pipeline to sell oil to another nation, Quit lying to cover your devious plans.